Chaplin (a teaching fellow in Religion, Philosophy and the Arts at Kings College, University of London) gives an overview of the movement, names relevant movers-and-shakers, suggests further reading, and provides lots of handy links to other sources. Her essay is expressly intended to serve as “a discussion starter.” My essay joins the conversation (and has been posted on the ArtWay website). I would like to expand on Chaplin’s reminder “that the whole idea of ‘autonomous art’ only emerged in the eighteenth century and that prior to that most art served some kind of function or institution.” Putting Art (back) in its Place provides an account of a long period of European civilization (with a focus on central Italy from about 1250 to 1520) when visual art framed the places in which people gathered, did their work, and experienced their own part in purposeful stories. Pretty much all art operated as part of both the social fabric and the encompassing architectural fabric of towns and cities. Art existed as a “socially engaged” enterprise. During this period, everyone wanted art! Monastic communities ate their suppers in front of the Last Supper, frescoed on the end-wall of the refectory by artists whose skill in perspective could dovetail actual with fictive space. Town councils, such as the committee of Nine in Siena, debated and decided policy under the frescoed gaze of images exploring the sources and effects of good and bad government, a constant reminder to the councilmen of their duty to the public welfare. People received the Eucharist before altarpieces that clarified precise aspects of the Real Presence of Christ to be embodied in the lives of the faithful as in his mother and in the saints of the past. In an earlier epoch works of art were almost always commissioned and designed for the use of a particular community in a particular place, assisting that community in the performance of those actions that defined its work and identity. To ensure the relevance and adequacy of artworks to their purpose and setting, the production of art typically involved collaboration among what we might call the four parties of art: representation from the community for which the artwork was made, a commissioning patron responsible for funding, advisors who articulated the thematic matter to the artist hired and trusted to give astute visual embodiment to the assigned themes and narratives. The sophistication with which complex topics in ethics and politics, theology and philosophy were given visual elaboration (think of Raphael’s frescoes commissioned for Pope Julius’s library in the Vatican) is partly the product of expecting artists to work with scholarly advisors. More productive in laying a positive social framework for socially-engaged art is to couch it as a creative revisiting of a long tradition, when (a) the very means and process of production involved the community, and answerability among the four parties was baked into the scheme, when (b) the community itself and certainly the commissioning agents were concerned with the “artistic integrity” of the artwork (rather than such concern being borne only by the aesthetically-sensitive artist), and when (c) the limits to the artist’s total autonomy were more than offset by the respected role that artists held in society, along with means of making a living. John Skillen is the director of Gordon College’s Orvieto-based Studio for Art, Faith & History. 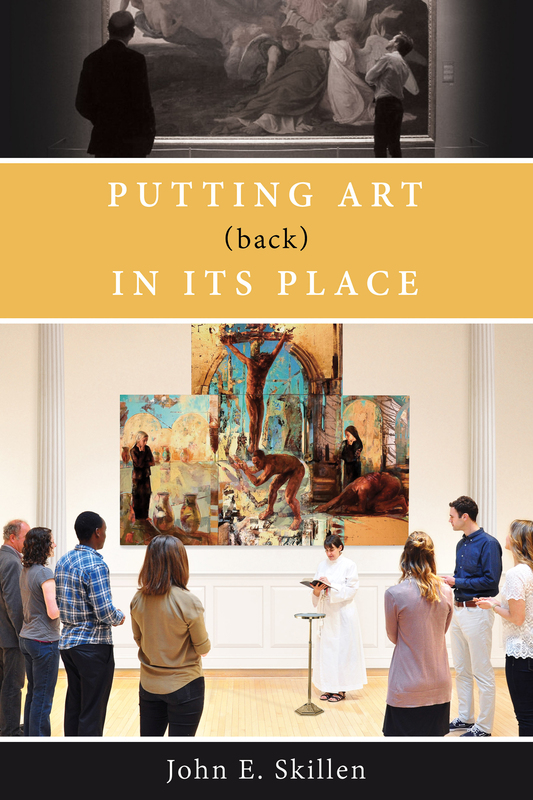 His recently published book Putting Art (Back) in Its Place (Hendrickson Publishers, 2016) gives an account of the “places” where art once did its work, at least in central Italy from 1250-1550. 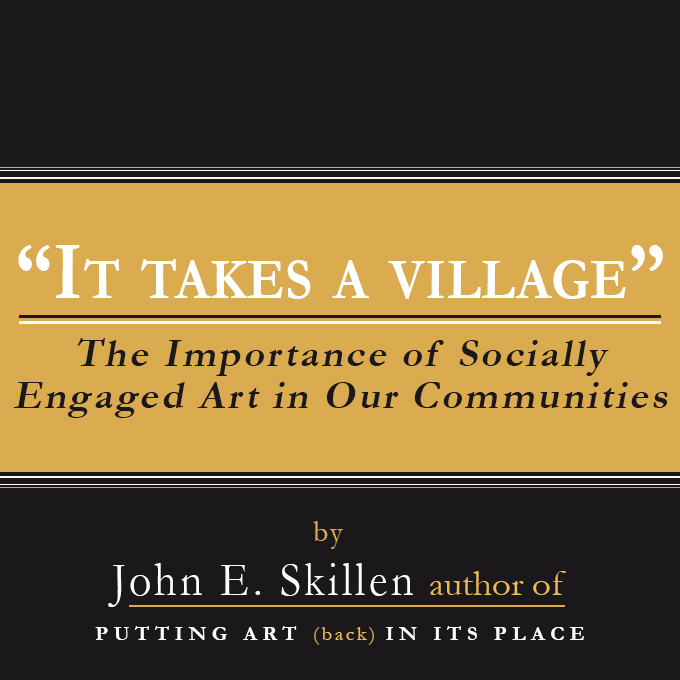 For more information about Putting Art (Back) in Its Place, feel free to check out this review, read this Q&A with Skillen, read this article that Skillen wrote for the Christians in the Visual Arts (CIVA) quarterly magazine SEEN, or visit our website!